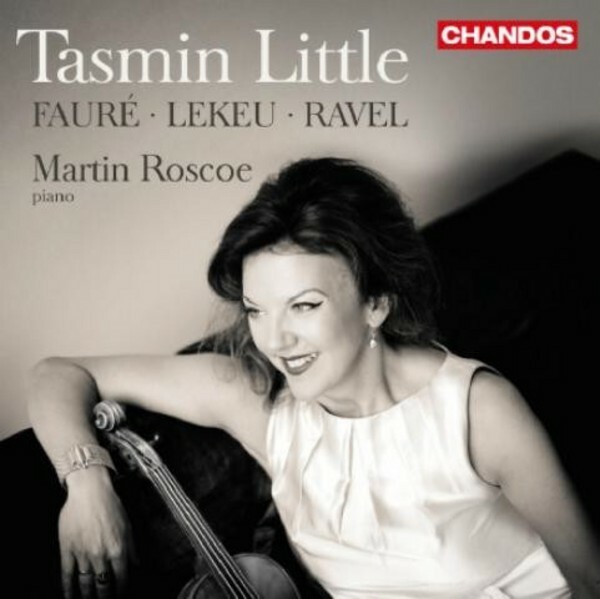 Our exclusive Chandos artist Tasmin Little explores three great French violin sonatas, after a much revered recording of British violin sonatas in 2013. She and pianist Martin Roscoe have enjoyed a long-standing chamber music partnership. On this album they immerse themselves in music of three of the best late-nineteenth-century French composers: Gabriel Faur�, Guillaume Lekeu and Maurice Ravel. Written in 1875, shortly after his thirtieth birthday, the Sonata in A major by Gabriel Faur� has often been regarded as his first masterpiece. And despite having faced a daunting reception, it has become a reference in the romantic repertoire. The first two movements, serious and solemn, are followed by light-footed, airy movements, the final Allegro drawing energy from Faur�'s favourite off-beat chordal accompaniment. As the last arrival in the �Bande � Franck�, Guillaume Lekeu, in his twenty-four year long life, wrote some fifty pieces of �tremulous emotion�, of which the Violin Sonata, of 1892�93, is by far the best known. The opening movement of an unfinished early violin sonata by Ravel was not published until 1975, his centenary year, and the first known modern performance took place that year in New York. The movement convincingly unites different styles, from Faur�s in the modal opening to Franckian chords in the development passage that leads back to the tune over chromatically descending triads � la Debussy, not to mention a second theme, over pulsing quavers, that clearly belongs to the Gounod/Massenet tradition.